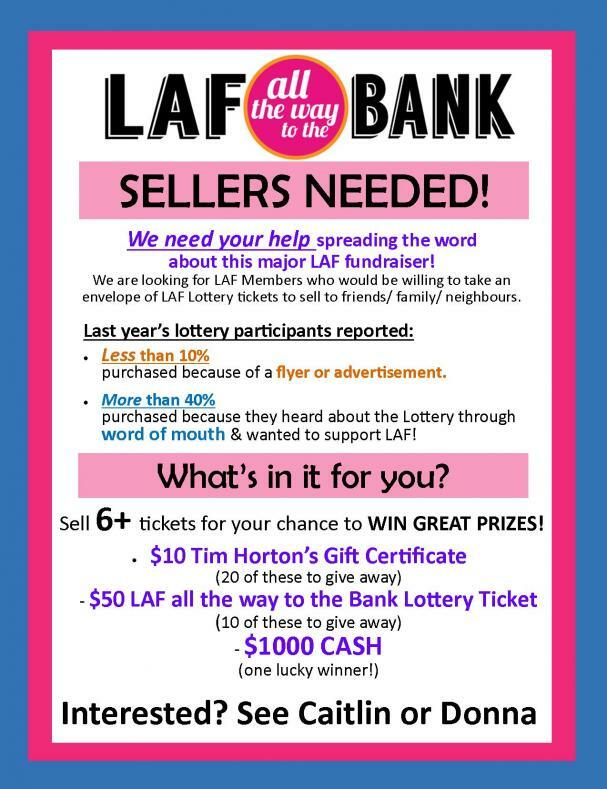 Only 10 days left to get your LAF Lottery tickets! We can't guarantee that you will win... but the odds are definitely in your favour! Help us reach our goal and support Life After Fifty! Make it easy for someone you love by giving them a book of 10 rides. All they have to do is call and book! LAF gets a percentage of every dollar spent when your order Avon through our LAF Rep! 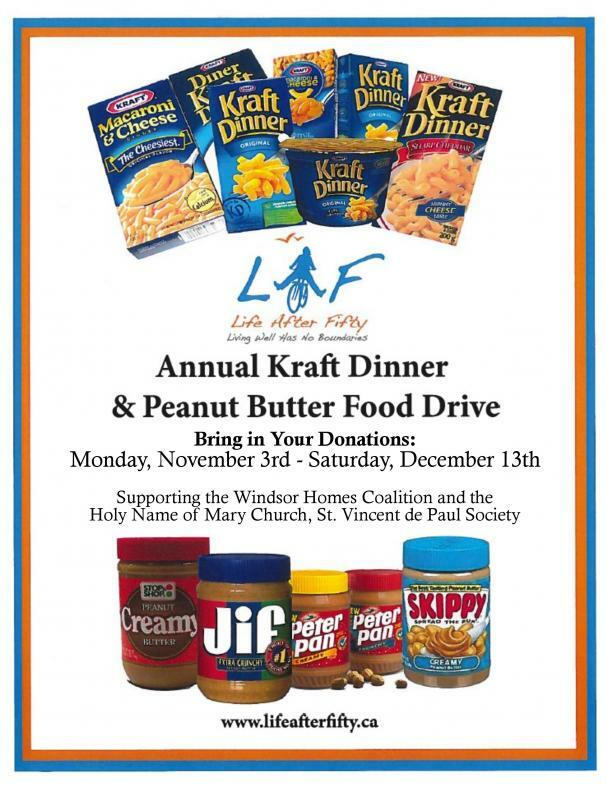 Annual Kraft Dinner & Peanut Butter Food Drive! Peanut Butter and Kraft Dinner are two of the most expensive items that food banks need a consistent supply of. If a family is not able to purchase meat with every meal, these products can supply a source of protein. LAF Lottery - SELLERS NEEDED! Help us spread the word about this exciting lottery! You could WIN BIG! 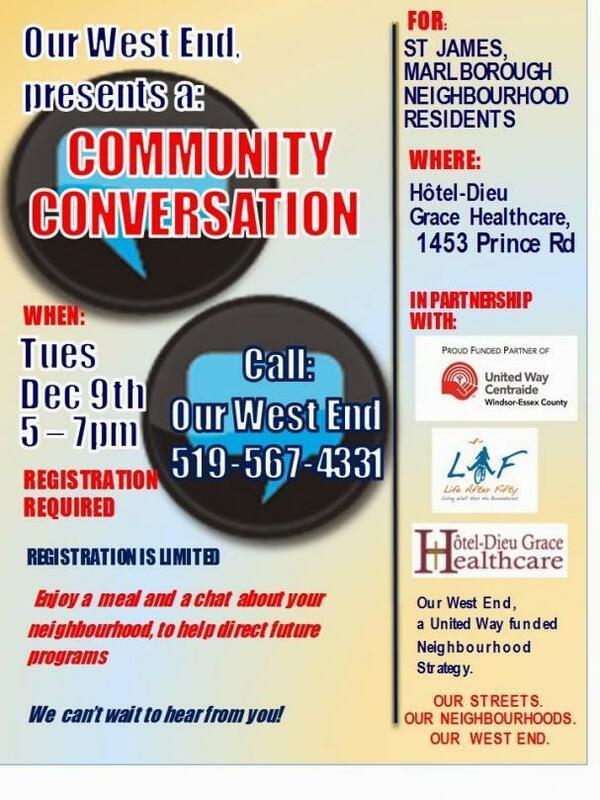 Our West End would like to engage you in an important community conversation! The Shriners will be selling fruit cakes in the cafe (WSC) at lunchtime for one more week only! Get yours today! LAF is collecting toys for younger teens, 11 - 14 yrs of age would be especially appreciated. Toys can be dropped off at the East Side Centre, where the collection box can be found at Reception.